Secure Shell (SSH) is a widely used protocol to secure network communications and file transfers. 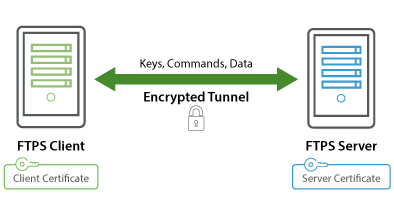 SSH uses a combination of asymmetric and symmetric cryptology to provide strong encryption and optimal performance. A comprehensive Key Manager is provided in GoAnywhere MFT to work with SSH keys. The Key Manager can be used to create public and private SSH keys, import and export keys, and to view key properties. The private keys can be associated with SFTP and SCP server configurations in GoAnywhere MFT for identification of those servers. Private keys can also be utilized when connecting to SSH servers using key based authentication. The public keys sent to you by trading partners can be imported and associated to user accounts to allow key based and two-factor authentication.